Electronic drums pound loosely like New Order`s “586” pitched down. The B-line like Ex Tras` “Haven`t Been Funked Enough” teasing “Tee`s Happy”`s fat hog. Funhouse timbales rattle and it`s Mark Kamins edited by Ron Hardy. “Atom Rock” with D-Train synths. Levan doing David Joseph with ricocheting Peech Boys machine-claps. Bells ape Caribbean pans, and bongo fills give the Latino / Balearic feel of those classic Arthur Baker remixes: Bruce Springsteen, Fleetwood Mac. 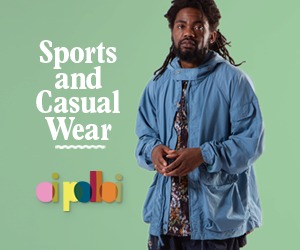 All of this puts particularly the “Crazy Club Dub” in a place that will appeal to those in amour with either the roughed edged Soul of PPU or the torch-burning House & Proto-House of Parkway / Parkwest. Jiraffe was the side project of one of my heroes: Rickie Weeks, leading member of Weeks & Co. He was one of the forces behind he hits of labels such as Salsoul, Prelude, Atlantic. He wrote songs for artists like Instant Funk, L.U.S.T., Phreek, The Jammers, …He’s a legend. You know, with this new label which I`ve called OMAGGIO, which means “tribute”, I have a number of reissues already planned, which will coming out in the next months. The idea behind the label, very simply, is to reissue old gems from people who I consider to be seminal producers / artists. As you can see on the Jiraffe 12, I`ve written text for the B side label which tells a little bit more about Richie Weeks, and I will do the same for each record in the series. It might sound a little bit cheesy, but it`s very nice to discover who is behind these projects, especially those from the `70s and `80s. A few DJ friends already knew about the Jiraffe record, but nobody knew who the real artist was, which is really funny! The licensing is, for me, one of the most interesting parts of the process. It is what makes the difference between a good or a bad reissue and getting in contact with your favourite artists is just a pleasure! I find it very easy and enjoyable, and I’m enough lucky to have a good list of contacts. It would be impossibile for me to make an unofficial reissue, pirate, bootleg stuff. I think this is the worst part of our job, and I don’t understand how distributors, record stores and media, especially the most renowned can take these records. It`s very easy to know what is official and what is not. Pirates must be “killed” because they are ignorant… We are talking about heritage and culture here. 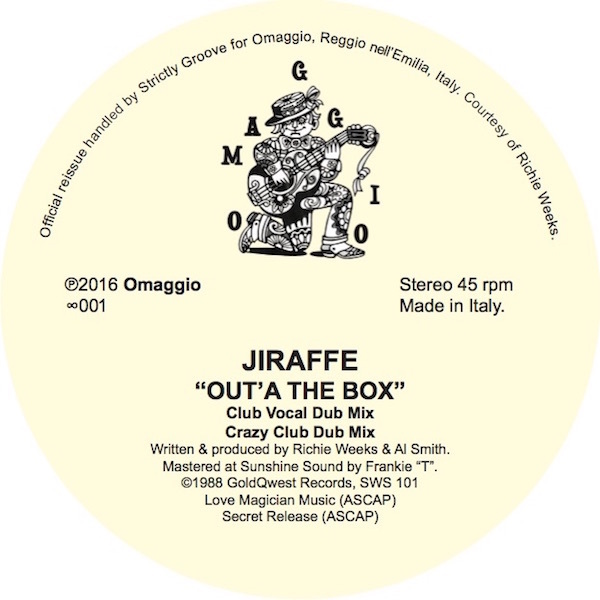 OMAGGIO`s debut release “Out`A The Box” by Jiraffe, should be in shops July 20th.